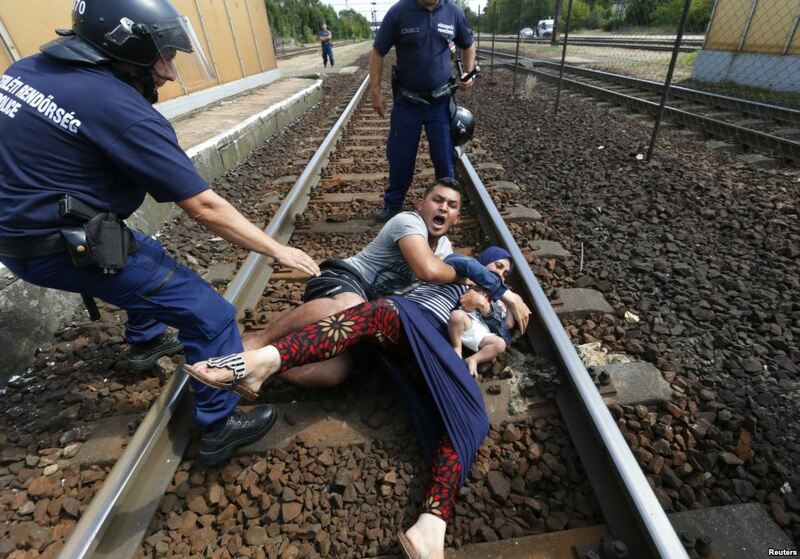 Hungarian policemen and a family of migrants at the railway station in the town of Bicske, Sept. 3, 2015. 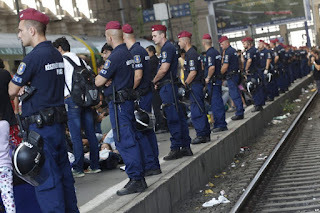 Migrants and police officers wait inside the Keleti Railway Station in Budapest, Hungary, Sept. 3, 2015. 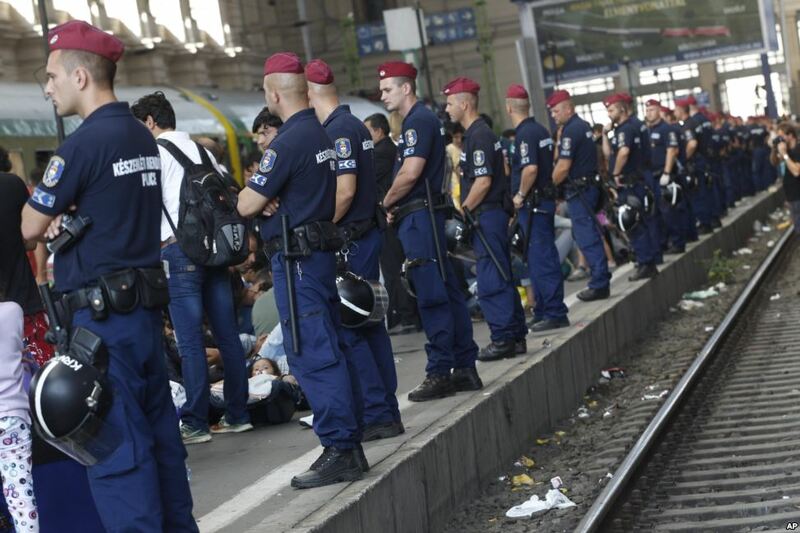 Migrants are now allowed to enter the station, although direct trains from Budapest to Western Europe are currently out of operation until further notice. Migrants storm onto a train at the Keleti train station in Budapest, Hungary, as police withdrew from the gates after blocking entry for two days, Sept. 3, 2015. Migrants sleep outside the Keleti railway station in Budapest, Hungary, Sept. 3, 2015. More than 2,000 migrants, many of them refugees from conflicts in the Middle East and Africa, had been camped in front of the Keleti Railway Terminus, closed to them by authorities saying European Union rules bar travel by those without valid documents. 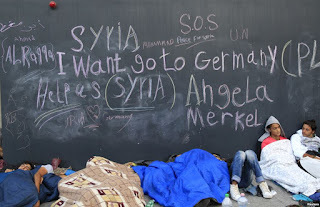 Migrants sleep near the Keleti railway station in Budapest, Hungary, Sept. 3, 2015. 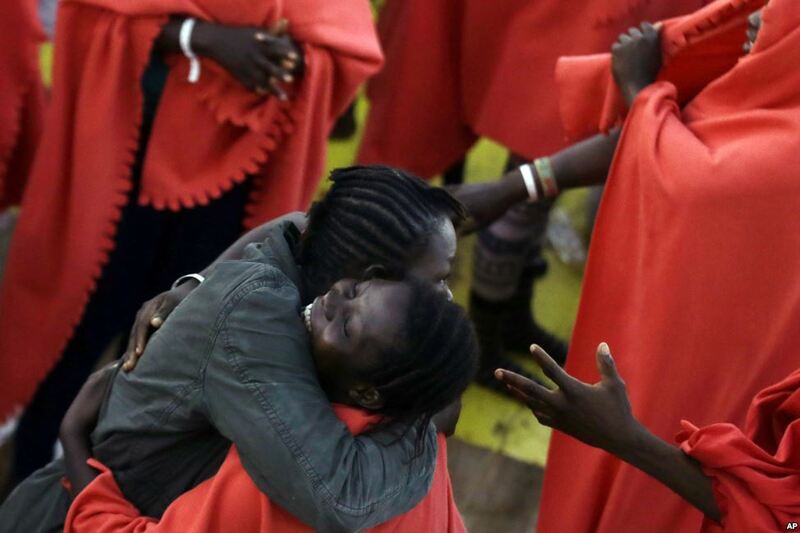 Migrants rescued off the Libyan coast celebrate on the deck of the Siem Pilot Norwegian ship upon their arrival at the Italian port of Cagliari, Sept. 3, 2015. 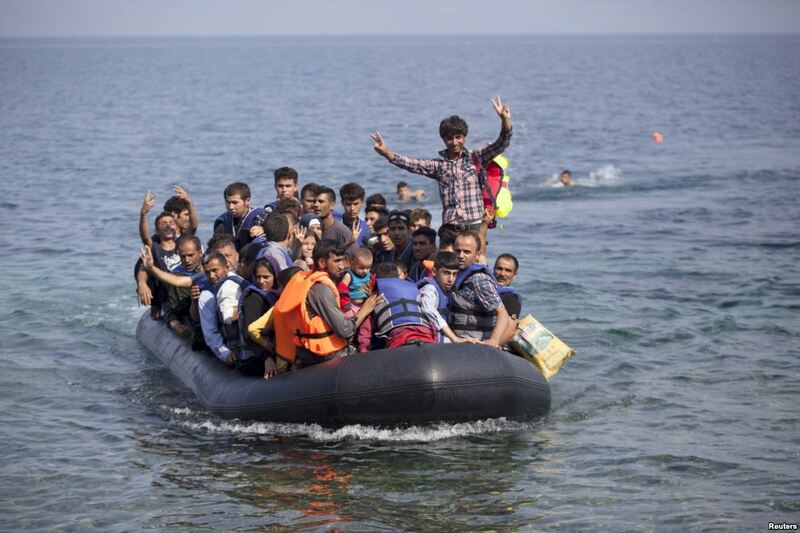 Syrian and Afghan refugees on a dinghy wave as they approach the Greek island of Lesbos, Sept. 3, 2015. 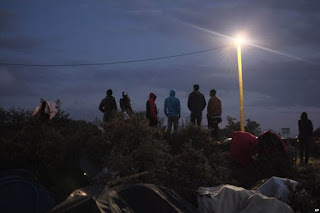 The International Organization for Migration (IOM) says 1,500-2,000 are taking the route through Greece, Macedonia and Serbia to Hungary every day and that there is "a real possibility" the flow could rise to 3,000 daily. 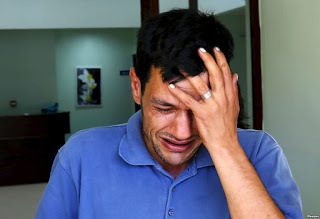 Abdullah Kurdi, father of three-year old Aylan Kurdi, cries as he leaves a morgue in Mugla, Turkey, Sept. 3, 2015. 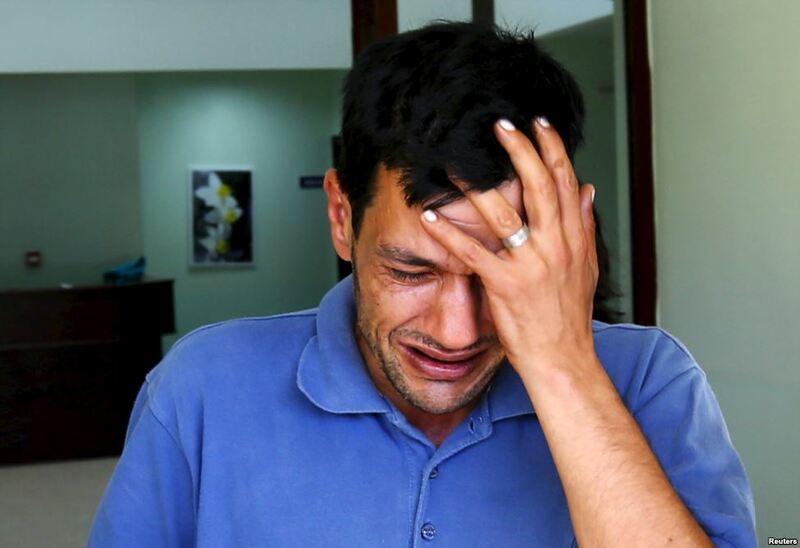 The family of Aylan, a Syrian toddler whose body washed up on a Turkish beach, had been trying to emigrate to Canada after fleeing the war-torn town of Kobani, one of their relatives told a Canadian newspaper. A photograph of the tiny body of Aylan washed up in the Aegean resort of Bodrum swept social media, spawning sympathy and outrage at the perceived inaction of developed nations in helping refugees. 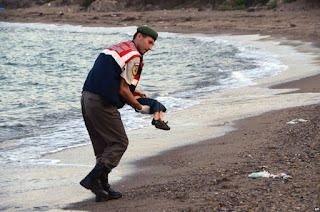 A paramilitary police officer carries the lifeless body of a migrant child after a number of migrants died and a smaller number were reported missing after boats carrying them to the Greek island of Kos capsized, near the Turkish resort of Bodrum, Sept. 2, 2015. 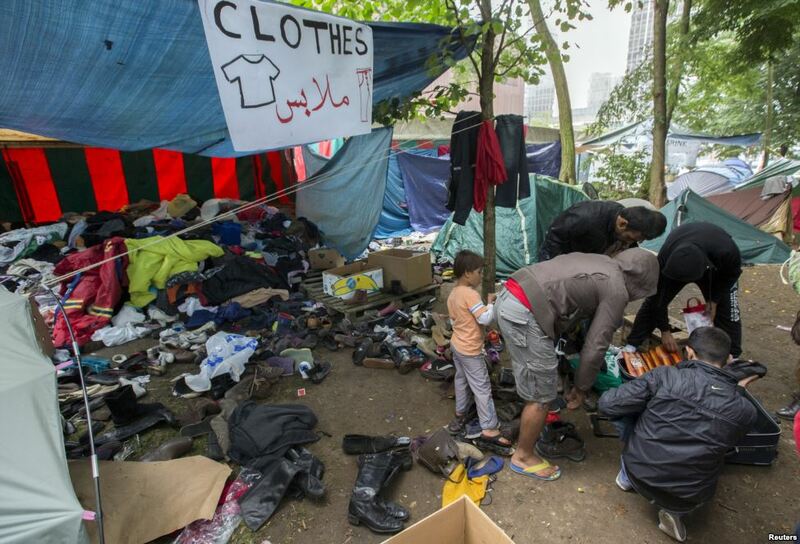 Asylum seekers search for clothes in a makeshift camp outside the foreign office in Brussels, Belgium, Sept. 3, 2015. 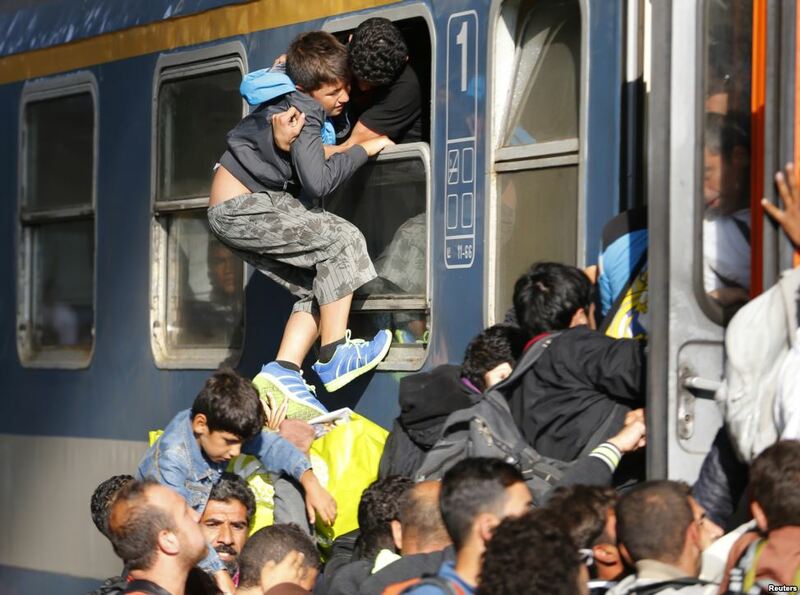 Some 2,300 people requested asylum in Belgium in June alone, up by a third from May, official figures show. 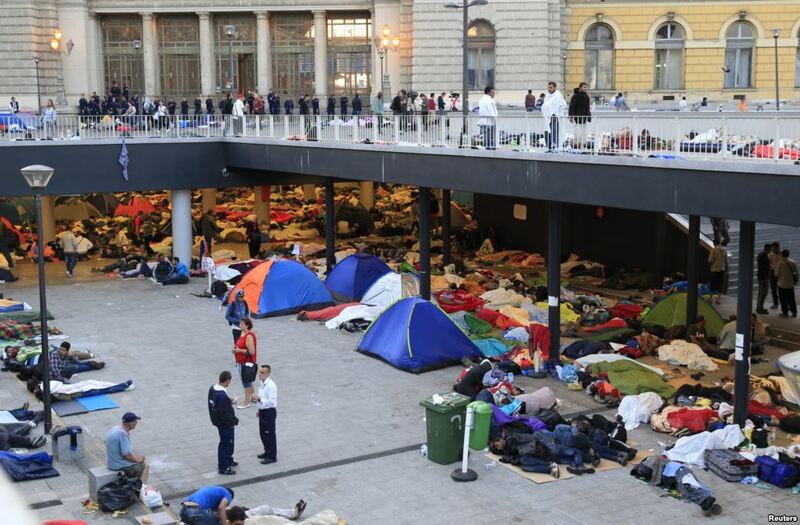 The Belgian government has offered housing for 2,500 extra applicants. Migrants rescued off the Libyan coast peer out of a gate on the Siem Pilot Norwegian ship to get the first sight of Sardinia island as they sail in the Mediterranean sea toward the Italian port of Cagliari, Sept. 3, 2015. 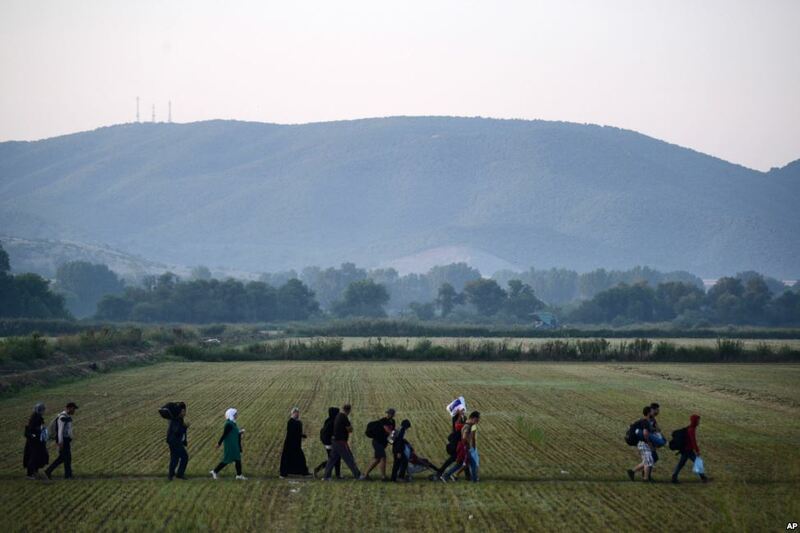 Migrants approach the border checkpoint in the northern Greek town of Idomeni, and cross into southern Macedonia, Sept. 3, 2015. 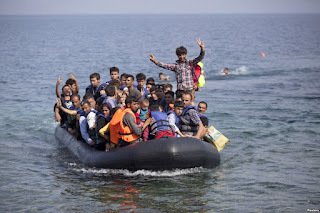 Macedonia has borne the brunt of a massive refugee and migration flow of people heading into the European Union, with more than 200,000 people arriving so far this year. 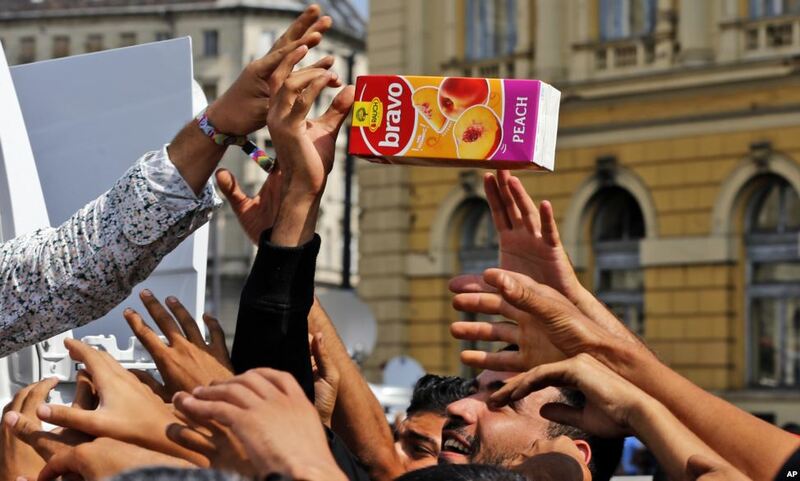 Migrants receive a juice donation in front of the railway station in Budapest, Hungary, Sept. 3, 2015. 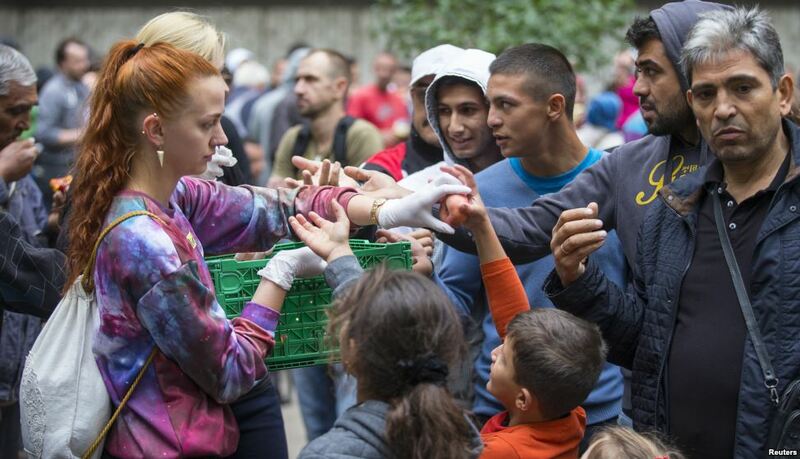 More than 150,000 migrants have reached Hungary this year, most coming through the southern border with Serbia. 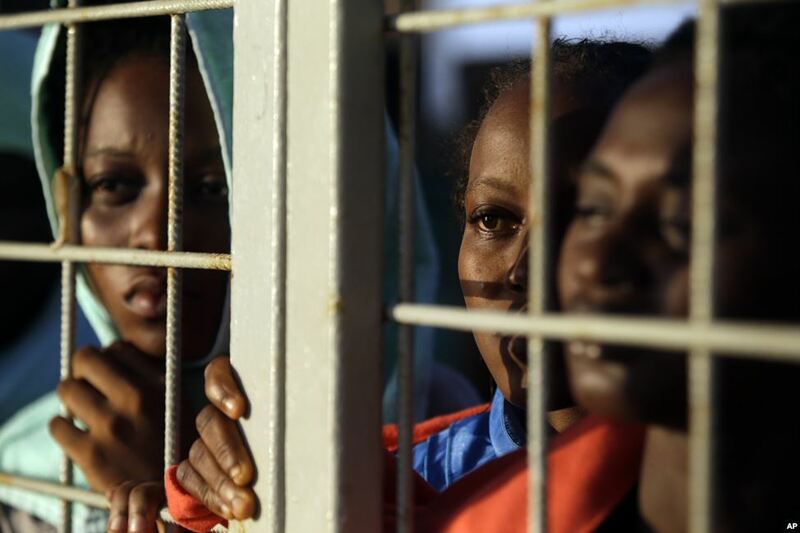 Many apply for asylum, but quickly try to leave for richer EU countries. Migrants stand near the camp known as the New Jungle in Calais, northern France, Sept. 2, 2015. Britain and France are fortifying control of the Channel Tunnel and boosting intelligence efforts against traffickers as they try to dissuade thousands of migrants from trying to make the illegal and sometimes deadly undersea journey to British shores.